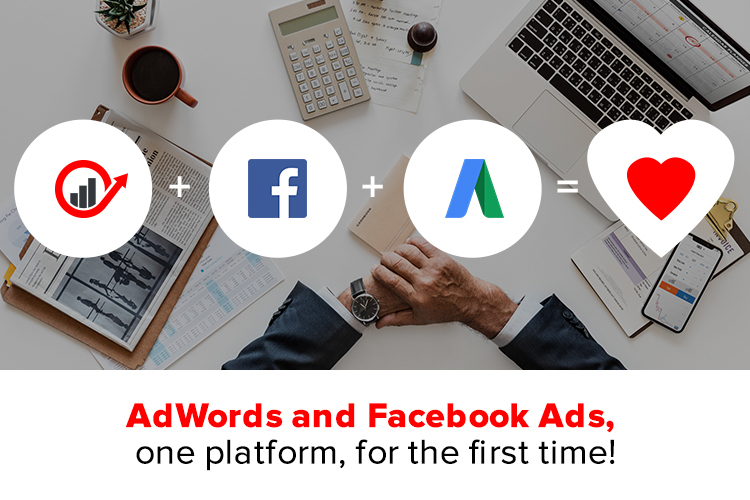 AdWords and Facebook Ads, one platform, for the first time! Low CTRs? Decreasing conversion rates? Having trouble setting up an AdWords or Facebook Ads campaign? Choose Retargeting.biz, the best remarketing tool! Now you will be able to create better targeted, more relevant ads from our platform with our newest features: Google Programmatic Remarketing Ads and Facebook & Instagram Dynamic Ads, for the first time ever present in the same platform. Delivering the right message, to the right person, at the right time brings a significant increase in the click rate, conversion, and revenues. Did you know that 86% of the consumers have become banner blind? Ad blocking software usage increased by 400% in the last three years, while only 20% of Facebook posts determined an emotional response. These numbers can’t make you feel too optimistic, especially if you want to promote your business using an inherently emotional medium like Facebook. What can you do to turn this situation to your advantage? The solution is creating ads that are better targeted, more relevant and tailored to the needs and interests of your prospects. This is why we have created the Facebook Dynamic Ads feature! We are the first company in Romania that integrated with Facebook, through API. Our Facebook Dynamic Ads feature is a new step towards digital ad automation, delivering the same benefits as standard Facebook Ads, but with a few more extra-advantages. More than 50% of online ads are estimated to be delivered with the help of a programmatic advertising tool by the end of 2018. Moreover, specialists predicted that half of all advertising will be delivered programmatically. That is where the real innovation takes place and new opportunities are being created. If you want to catch this train, we can help you! Our new Google AdWords advertising tool was designed as an extremely powerful instrument for marketers. Why should you use our Google AdWords advertising tool? Google is the most popular search engine in the world, bridging the gap between businesses and consumers. Today, most people use Google to find products and services, so it’s only natural to advertise on Google in order to offer Internet users what they need. If you are still thinking about it, consider this: about 4,5 billion searches are taken place every day on Google. So, why should you choose our Remarketing feature? – performance-based commission: no sales, nothing to pay. And on top of all these benefits, we give you a completely new admin, not only GDPR compliant (2 steps authentication, high-security mode, limited time downloadable links), but also more user-friendly.